Fall is finally here!! Each time fall comes around there are new trends that kick in and that everyone wants to follow. This fall color is RED so make sure to add some red to your outfits this fall to stay in the loop! Here a quick fall trend report for 2018 that you should know about! This jean is so in and everyone is wearing them. Whether it’s a red and white strip on the side or just a darker blue… with an oversized sweater or just your simple T-shirt, this outfit is perfect for your every fall day! The double buckle belt can go well with a pair of jeans if you are going for the casual look or you can also wear it with a jean skirt on a night out. You can also use the double buckle to dress up a dress you wear with a leather jacket like the picture below. Plaid flannels use to be the old trend but they are back this fall but now in pants and dress form. A plaid dress is what you will be seeing on all the cool people. You can wear the dress oversized and plain or you can add a belt so it simply hugs your stomach a little bit. If you are feeling bold, try a plaid jumpsuit with a beige or black sweater underneath! If dresses aren’t your thing, plaid pants are a go too! Sneakers that you never thought you would wear until your 75 are now the most popular sneaker to be wearing. 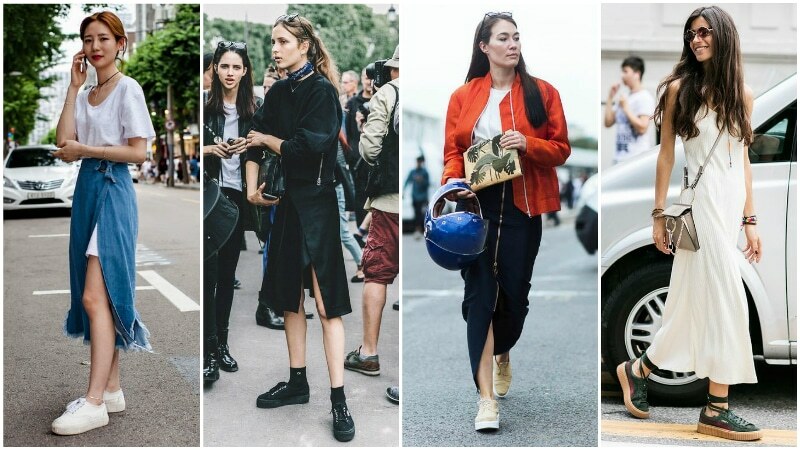 Whether it’s an all-white chunky sneaker or a God-awful colored sneaker, they are in. 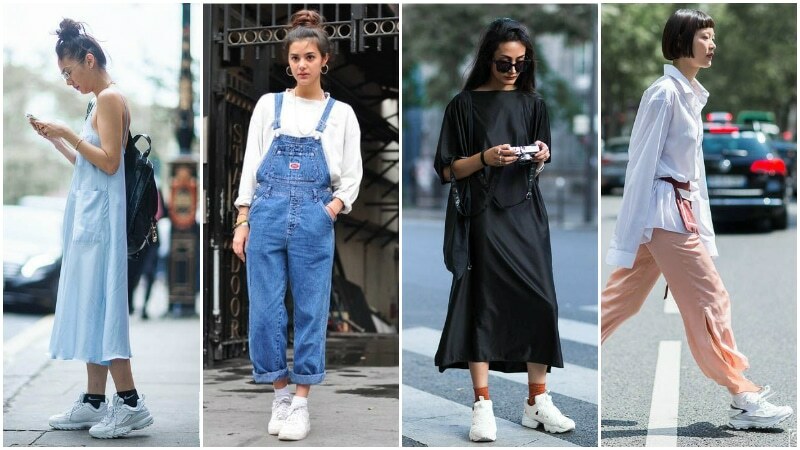 Honestly, any sneaker now is fashionable. Check out some cool kicks below! Get shopping people for the top 4 fall trends this year! !